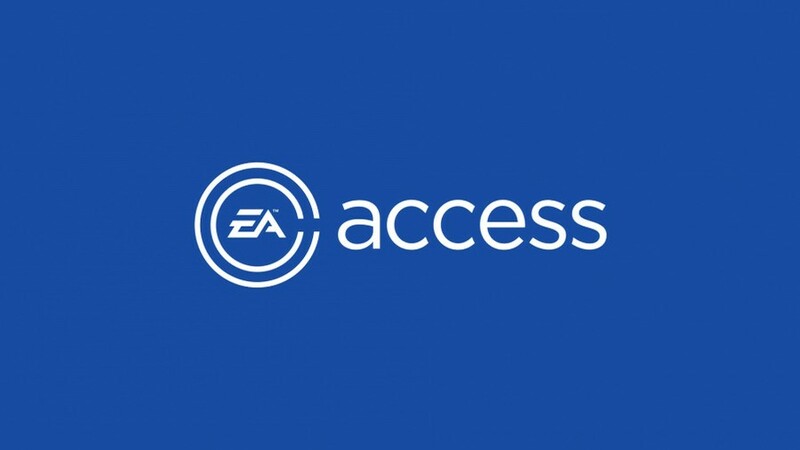 Early in the generation, when Microsoft would have chopped off its own arm for a public relations win, EA Access was a big point of conversation. The subscription service – which Sony controversially blocked on the PlayStation 4 – effectively provides, er, access to a vault of older Electronic Arts titles. It also unlocks discounts, and lets you try out select titles prior to release. But despite it being a relatively popular option for fans of EA’s games, the PlayStation maker has been dead against it from the start, suggesting that it represents poor value. It seems like its stance may be softening, however, as the publisher said overnight that it plans to bring the service to “another major platform” this year. It didn’t specify beyond that. Now there’s obviously a possibility it could be talking about the Nintendo Switch here, but with that console only playing host to a handful of EA’s games, the PS4 seems much, much more likely. Pushed for further comment, the publisher’s said that it has “no further details to share at this point”, but we’re sure all will be officially revealed in the very near future. I’d subscribe to this in a heartbeat...fingers crossed!! Hopefully Sony finally came to their senses, there was no reason EA Access should've been blocked to begin with. PSN is Sony's platform and it can do what it wants with that but having more options for consumers isn't a bad a thing and it should be up to the consumer to decide what is good for them or what is 'poor value' not Sony. What horrible and upsetting news. Fingers crossed they are talking about switch. I mean, it's gonna be PS4. What would it be used for on Switch? Two FIFA games? Whoopie. Well, three since they'll crap out another this year. Then again there was that rumour about Frostbite finally being supported, and of course the rumour that EA has a sour note because Nintendo didn't let them use Access for the Wii U.
eh whatever. i can just leave it in the dark never to be touched. aslong as it doesn't appear as a constant add on my dashboard or on the PS store. Agree that I'd be surprised if its Switch but other possibilities aside from PS4 maybe mobile devices as a kind of cloud service or Xbox's xCloud box thing. "Another Major Platform" this year. First thought I had was PS5. meaning PS5 is coming out this year. Yay! Get your unfinished games here. Get your VIP demo here. Get your loot boxes here. Pay us to shutter studios here. I don't care if PlayStation adds EA access. But also don't feel i will ever pay $29.99 to join. I am not anti EA I just do not play shooters. I pick up EA games at deep discounts. Many Games like Need for Speed are offered for $10-$15 on disc and I got Peggle 2 masters edition digital for very low price on PSN sale. It's not something I'd use, but it's always good to have another option. I checked EA Access out the other day, out of interest. Do people really subscribe to that? I mean, it's basically FIFA 15, 16, 17, 18, 19, NHL 15, 16, 17, 18, 19, Madden 15, 16, 17, 18, 19 and some other games. With EA's catalogue for the last several years, I can't think of anything I'd want to play on it anyway. Personally, I think Sony were right when they said it doesn't offer much value. Then again, perhaps this is another step towards bolstering the content of Plus when PS3/Vita games leave next month? If it was rolled in with the Plus sub, it would certainly offer something approaching value... but I doubt EA would go for that. Yum yum, old sports games. If this is the only way I get to play the Mass Effect trilogy again on ps4 I'm definitely down to pay 5 bucks and join for a month! Hope this comes to fruition. I hope Sony blocks it. We don’t need more of EA’s crap. Would this let me play Fight Night on PS4? @tomassi i'm not a fan of EA games, but there are a ton of what you simply dismiss as "other games", including xbox 360 and original xbox games. @manu0 well, would we be able to even play those Xbox games on PS4? Comment of the day. I like it. @redd214 I never thought about that, is that even a possibility though? @Cordeceps no idea to be honest. I think I remember that being one their excuse for not doing a remaster was because it was on ea access. Don't know if its possible but they could at least throw us a bone and let them get on PS Now at the least. Already have on xbox and pc, it's nice for the year price but, not going to pay for another platform. @tomassi Titanfall, Dragon Age, Mass Effect, it has others that I wouldn't want to buy like Unravel and Battlefront 2. Even if you subscribe for one year at £20 it's damn good value to have access to all of those titles. It's trendy to c**p all over EA, and maybe rightly so, but I'll side with them on this one. Its great value, been on it on Xbox since launch. Only thing is, if it comes to PS4 what about all the BC titles Xbox gets. As PS4 dosnt have back compat it will be missing a bunch of content.